Nikon has today unveiled a new addition to their range of compact cameras with the unveiling of the new Nikon Coolpix S6600 compact camera. The new Nikon Coolpix S6600 compact camera will be the first in the S-series range to feature a hinged LCD display allowing users to position it in multiple positions enabling low angles to high capture angles and even self portraits when required. 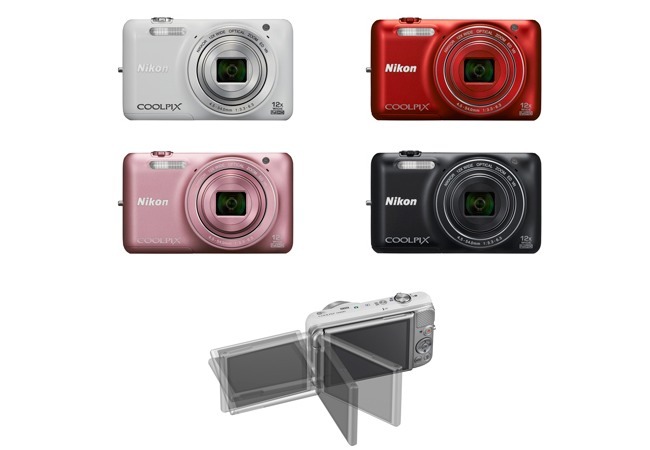 The Nikon Coolpix S6600 compact camera also comes with built-in Wi-Fi emnabling users can easily transfer images to mobile devices such as smartphones and tablets as well as the ability to upload them to social networking sites. For more information on the new Nikon Coolpix S6600 compact camera jump over to the Nikon website for details. “The S6600 is the first COOLPIX S-series camera to be equipped with a vari-angle monitor. A side-hinged vari-angle monitor has been adopted for the slim body, enabling flexible shooting from any angle, whether low or high, and even self portraits.